10GBase-T Technology provides a cost-effective method for migrating from current network to 10G Ethernet by utilizing existing CAT5e/CAT6 short connections (up to 55m) and CAT6A/CAT7 connections (up to 100m). In a world of expanding enterprises and growing virtualization, cloud-based services and applications, like VoIP, HD streaming video, and IP surveillance, SMB networks need to evolve beyond simple reliability to provide increased scalability, higher bandwidth, and enhanced performance. 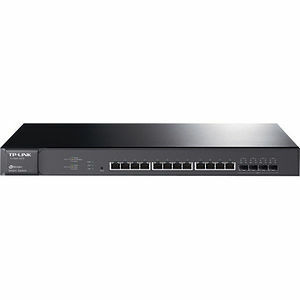 TP-LINK's new T1700 Series 10G Smart Switches represent an ideal solution that meets these requirements. The series includes the T1700X-16TS Full 10-Gigabit Smart Switch and the T1700G-28TQ Gigabit Stackable Smart Switch with 10G Uplink, which both provide high levels of performance, scalability, and cost-effectiveness that SMBs require from their 10G networking solutions.